Started in June 2006, we are a Christian-based charitable organisation set up to feed local people experiencing real hardship by meeting their most basic need for food. Local people, churches and other organisations in and around the Black Country are joining together to be part of a project that makes a real difference to the lives of those in crisis. We issue food vouchers to local organisations that encounter people in hardship. They act as referral partners and give the vouchers to people who they consider need food. The people (clients) then come to one of our local distribution points where they exchange their voucher for the food. We help anybody who needs our support; young, old, single people and families from all backgrounds, religious beliefs and ethnic origins, without prejudice. The one thing they all have in common is that we aim to treat everyone fairly and with dignity. There is no charge for the food. At the distribution point we offer a drink and the opportunity to chat with the project team whilst their food package is prepared. They may also be offered help in finding other professionals who can assist them out of their crisis. All the donations of food and toiletries come from local Churches, schools, individuals and corporate donors. Through the donations local organisations can play a huge part in directly helping those in need. In addition to emergency food parcels BCFB also work with ‘Partner Projects’ who are community focused organisations who provide one off events or regular events such as soup kitchens. 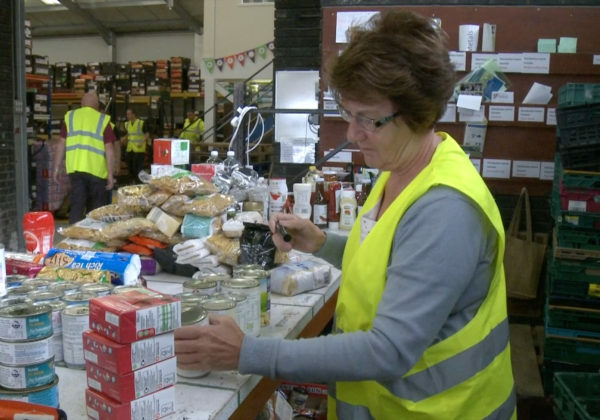 BCFB can often provide any items that we have in abundance and are close to their use by date. This means our waste is greatly reduced. 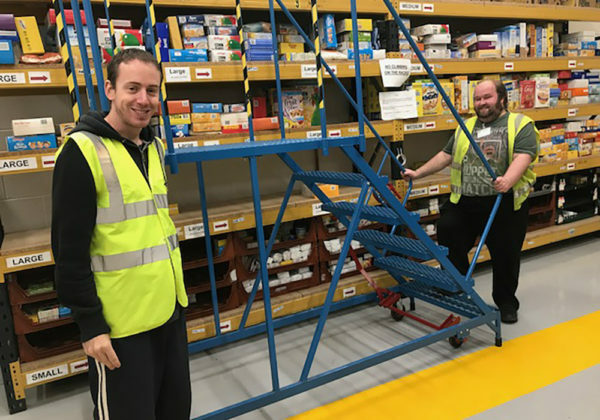 There are approximately 30+ volunteers who help to run our central warehouse in Albion Street, and another 100 + volunteers across our 21 Distribution Centres. We value all our volunteers highly and will be forever grateful to them for all the time and effort they give to BCFB. We couldn’t do it without them.